Our pest control services cover domestic, commercial and industrial buildings. we are fully insured and guarantee our pest protection services. With many years’ experience and expert knowledge of local pests, we will quickly identify the problem pest, identify the conditions conducive to their survival, and recommend treatment to eliminate them and prevent them from returning. We understand each client’s needs are different, and we’ll design a program based on your specific needs and concerns. We offer one time solutions or preventative pest control services for both residential and commercial applications. Pest Control is the process of minimising or removing a wide range of undesirable insects and other pests from home, in a place of business, or in a public building (residential or commercial pest control). 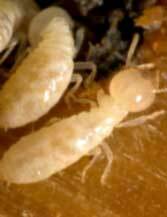 Many crawling and flying insect pests have been implicated with carrying disease organisms harmful to humans. A sound approach to minimising risk of infection by food poisoning and other such pathogenic organisms usually involves several critical components: pest inspection and monitoring, pest identification, knowledge of the pest’s ecology/life cycle/habits, modification of physical and cultural conditions to prevent/discourage pest activity, and safe use of appropriate chemical control measures. Effective pest control requires knowledge about the pests and their habits. The first step is to identify the pest correctly and after that, to evaluate strategies to control pests. Correct identification of the pest makes controlling it easier and often more effective. A mistake in identification can lead to improper control tactics that cost time and money. It may also lead to unnecessary risks to people or the environment. Controlling pests normally involves using some type of insecticide to prevent them from entering the space, and to kill any pests that have already established a presence within the space. There are many options for controlling pests, and many of these options are tailored to specific pests or problems. Integrated Pest Management (IPM) is a pest control approach that uses the least toxic methods first. IPM includes common sense methods based on scientific knowledge of the pest and its habits. Methods often include removing pests' food source, blocking their entry into an area or building, using beneficial organisms, and the judicious use of pesticides. Beside professional pest control services, homeowners can do a combination of strategies to make the space less desirable to roaches, bed bugs and other types of pests; like keeping the home clean and thus minimising the potential for providing food for pests such as rats or mice. The ultimate goal of all forms of pest control is to remove mice, roaches, termites and other types of pests from areas where human beings live, work, and play. Along with minimising the chances for structural damage, pest control efforts also can reduce the chances of humans contracting diseases that are sometimes spread by various types of vermin. If you have an existing pest control problem, Best-PestControl provides best pest control services in Melbourne. 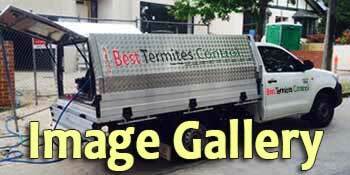 For more information, contact BestTermitesControl (Call Free 1800 780 820).